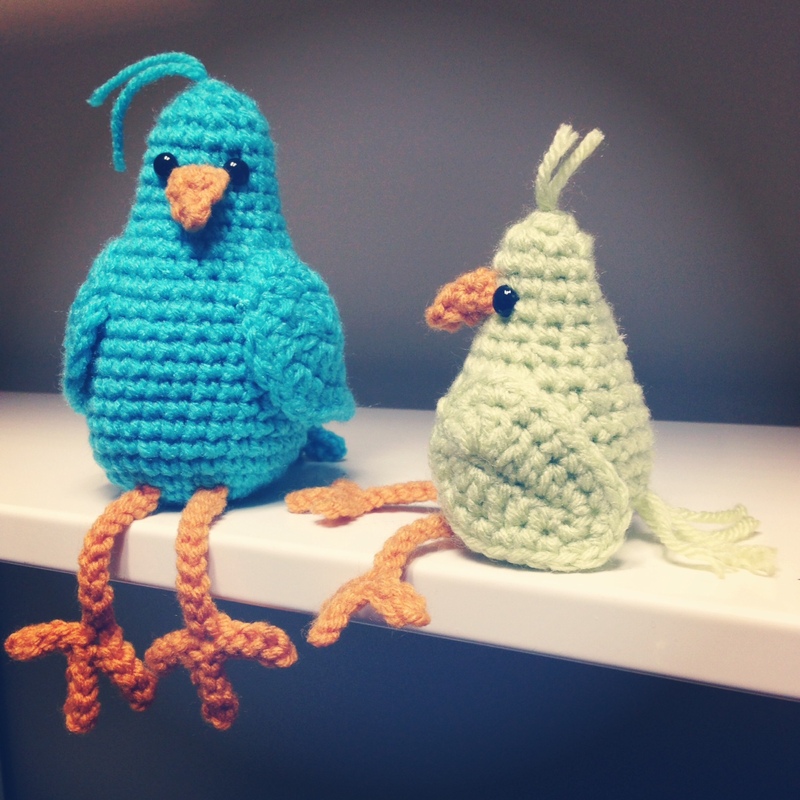 Book Bird has now been dubbed “Word Bird” at the library! We’ll be rolling him out later this week or early next week. And he even spawned a new pal. I enjoyed making Word Bird so much that I decided to go ahead and make a little green bird to place for sale on my store! 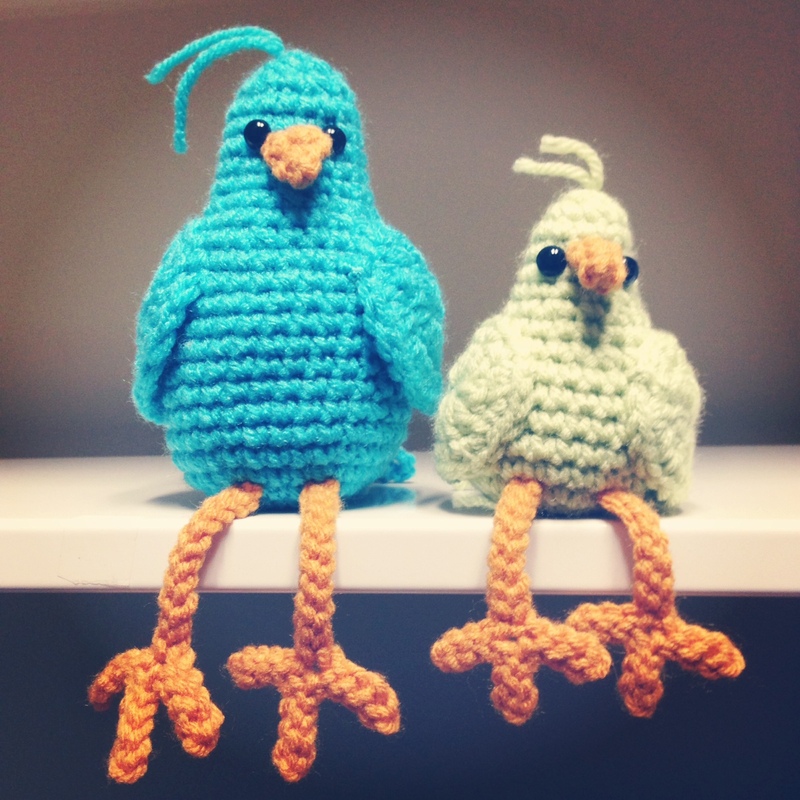 Check them out….. I posted a couple years ago about connecting literature with crochet. I made a funny looking spider from a children’s picture book for a friend’s daughter and he turned out awesome. I now have another chance to merge my crochet skillz with my library profession once again because I’m an over achiever. The idea was sparked when a little girl left her Hello Kitty toy hanging out on a statue we have in the library. The statue is of a little boy reading a book, and the way she abandoned it there, nuzzled next to the little boy, it looked like Hello Kitty was sucked into whatever bronze book the boy has been reading for the last 20 years. Then it gave my boss an idea… What if we had our own “mascot” for the library, and what if it traveled to a new spot every day, waiting for a kid to find it?? Genius. So the plan is it to hide it in a new spot every day and whenever a kid finds it they’ll get a sticker or some little toy to leave under the seat in their mom’s mini van. The over achiever in me decided I was going to crochet this little mascot because I haven’t made anything in a while and my fingers are losing that crochet hook tone (yes, crochet muscles!) 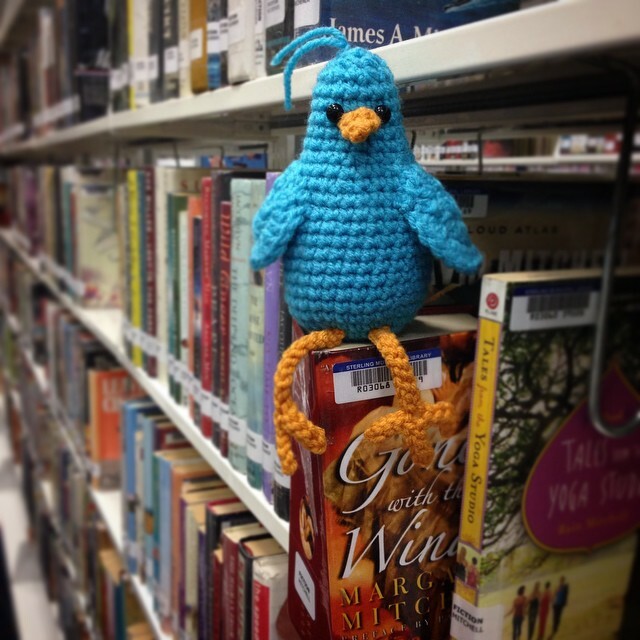 So here I go, working on a little blue bird to flutter around the library! I promise he will be something soon… And the children will love him! Or they’ll just love the stickers and bookmarks they’ll get when they find him hiding in the library…. 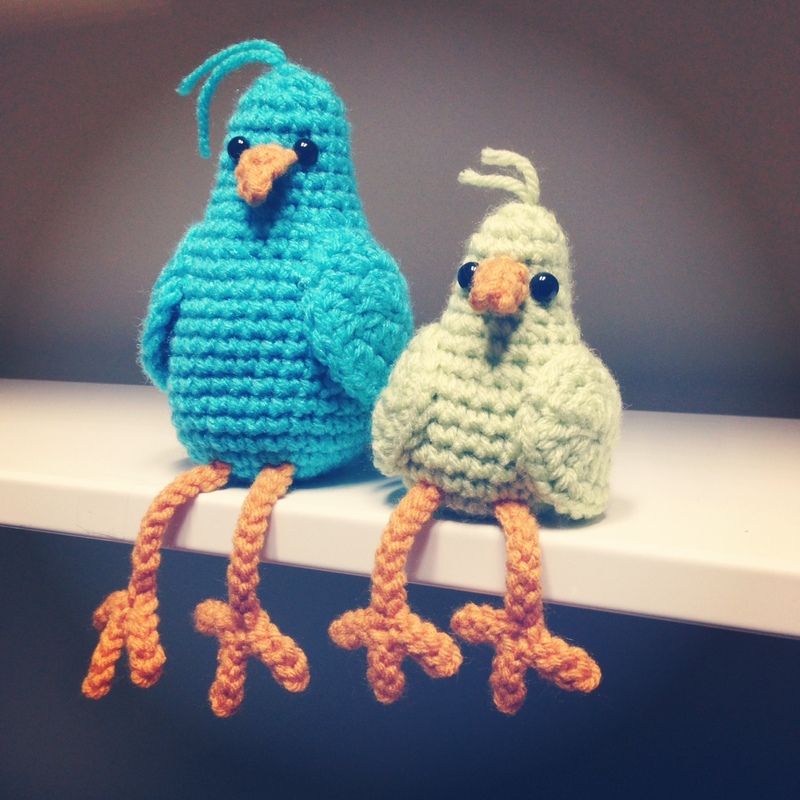 Tweet Tweet!